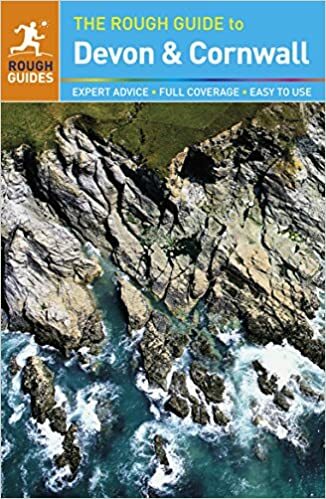 The beauty spot of Slapton Sands, between Kingsbridge and Dartmouth, has a varied and gripping history as well as being one of Devon's loveliest wildlife havens. In the 1370s Slapton Sands was the site of a chantry, a foundation set up specifically to pray for the souls of the dead in order to help them into heaven. Part of the college buildings in which the priests lived and worshipped is still there, although it is a picturesque ruin and jackdaws rather than chanting priests chatter in the stone tower these days. Slapton village clusters round the chantry and medieval church, and has a number of pretty cottages and inns. Most noticeable, though is the evidence of more recent and violent history at work: an American tank sits near the pebbly beach and visitors will find a number of plaques and memorials along the seafront road. 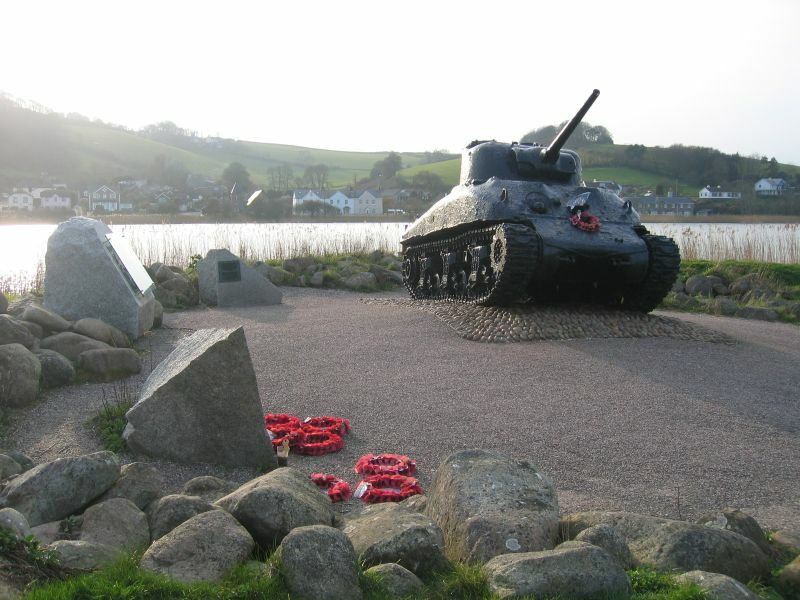 In April 1944, American troops were training at Slapton for the D-Day invasion of northern France. The beach provided a good model for the conditions they would encounter on the Normandy coast, and landing craft were being beached and soldiers disembarked in practice exercises in daylight and at night. On the night of the 28th, however, a flotilla of fast German attack boats arrived unexpectedly off the coast and took the trainees by surprise. Many of the American craft were sunk, and over 900 American GIs were killed before they had even had a chance to enter the war. The Sherman tank that stands on the seafront today was recovered from the sea, having gone down on one of the landing craft, and it has been dedicated as a memorial to the young men who lost their lives. You will often see poppies, wooden crosses and messages left by those who remember that night or have traced their family history and found a connection to one of the dead GIs. If you walk along the side of the lake behind the beach, you will see a few concrete defences left over from the live fire exercises on land - one at least still has a bullet embedded in the wall. Interestingly, S-130, one of the German boats that attacked Slapton and the last survivor of her kind, is currently being restored at a boatyard near Plymouth. 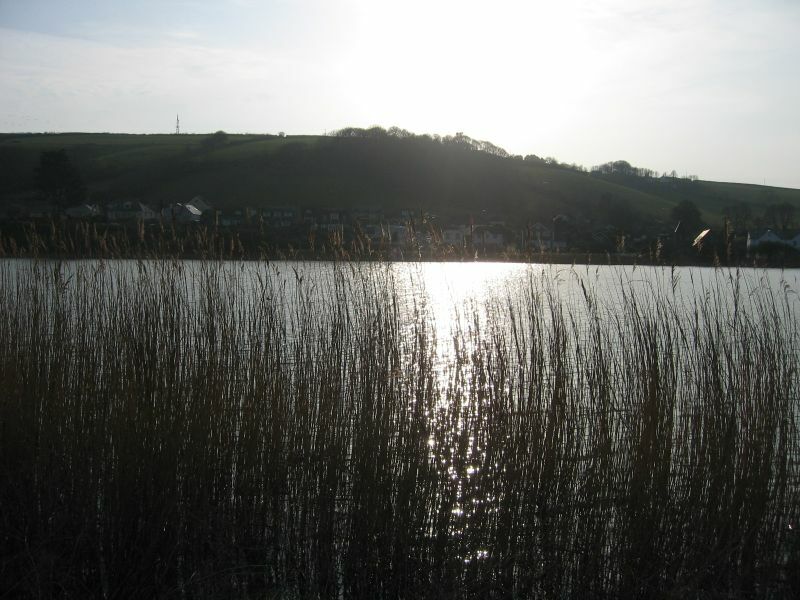 Slapton is far from a sad place, though, since the 'ley' or lake behind the beach is bursting with life. The 3 mile long shingle ridge protects the ley from the sea and creates a unique freshwater environment, which is a nature reserve, area of outstanding natural beauty (as every visitor will agree!) 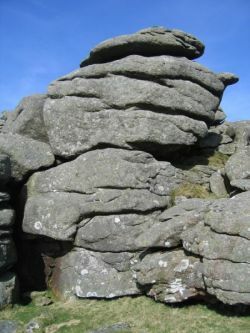 and site of special scientific interest. A field studies centre hosts groups of school and university students who come to study the rare plants, marine animals, fish and birds. An identification board helps less expert visitors work out what they have seen - a great crested grebe? A reed warbler? A moorhen or coot? Maybe even a rarity, such as a marsh harrier? In summer, the ley is an idyllic spot with swallows skimming the water and butterflies enjoying the flowers. If you stand on the pretty little bridge, you may see roach, rudd or perch hanging in the clear brown water. The reeds rustle, the seagulls mew and the world is at peace. 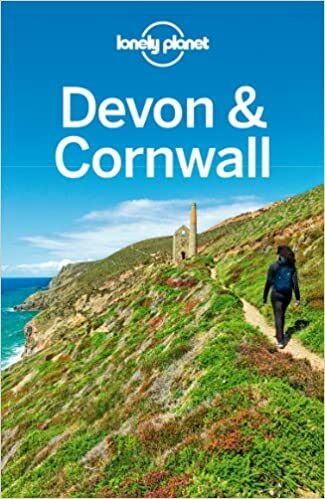 Are You Planning to Visit South Devon? 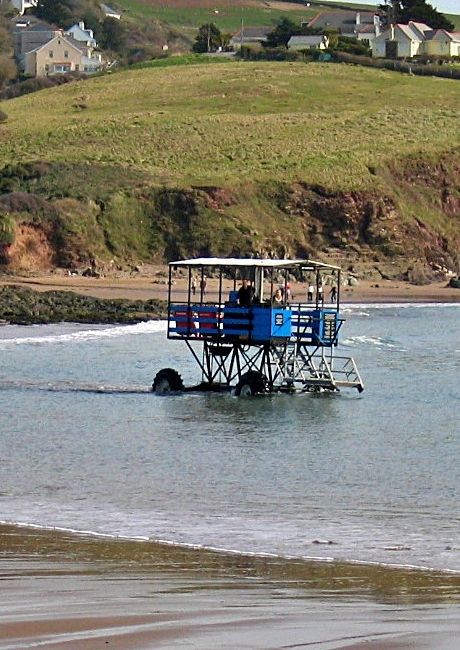 Return from Slapton Sands to the Devon pages for more places to explore.